Past Tuesday 18th was my birthday and my son too. Yep I got to spend a very exciting birthday 5 years ago with a very special gift (a little clone just as stubborn as I am)! Now, as a working parent with a modest creative mind who likes a touch of DIY and, of course, as last minute and effective as it can be, while still wanting my kids to say WOW when the cake arrives… by my oldest 3rd birthday (when my son asked to have a cake with a horse, strawberries and kisses on it just two days before his birthday!) I figured a parenting hack I’m quite proud about… I just use Canva to make whatever cake design will make my kids happy and then I order a “logo taart” by Multivlaai… I can order online in few minutes (sure the ordering process could be improved and, most of all, enabled on mobile too, but is still pretty quick considering the alternatives) and I get it delivered at home! Top! This year was the same and my son asked to have both Ninjago and Pokemon on his cake. Except that, when cake arrived on the 18th morning, the top layer was actually printed wrongly with the bottom corner clearly missing having been printed on the paper instead of on the icing. 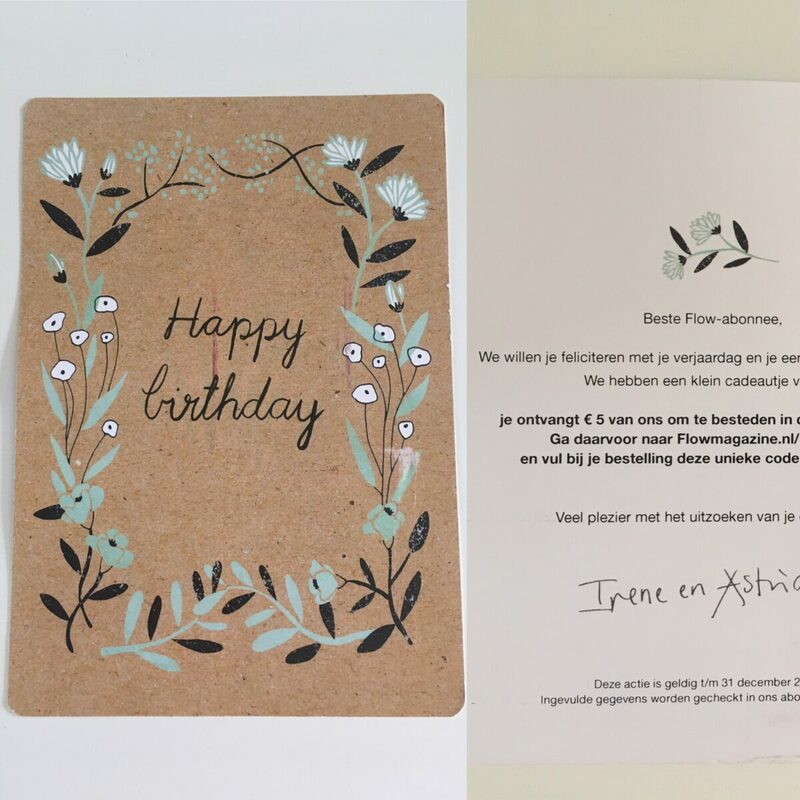 Not having time or “zin” to handle a complaint in Dutch on my birthday, I asked my husband to call the shop and I offered to go to the city center and pick up the new print that, I din’t even question, would be made to repair the mistake. I was anyway looking to have lunch in town with my mum and possibly have a quick round of shopping to see if my very favourite shop Steps had anything left in the sunshine yellow they have this season. So after an intense morning of work, went out for lunch with my mum visiting from Italy. We then went to Steps and …guess what? They had a beautiful yellow dress on sales…called “Sunshine”. Love at first sight. I measure the smallest size 34. Just too tight. Next size available 38 too big. No 36 left in the shop. 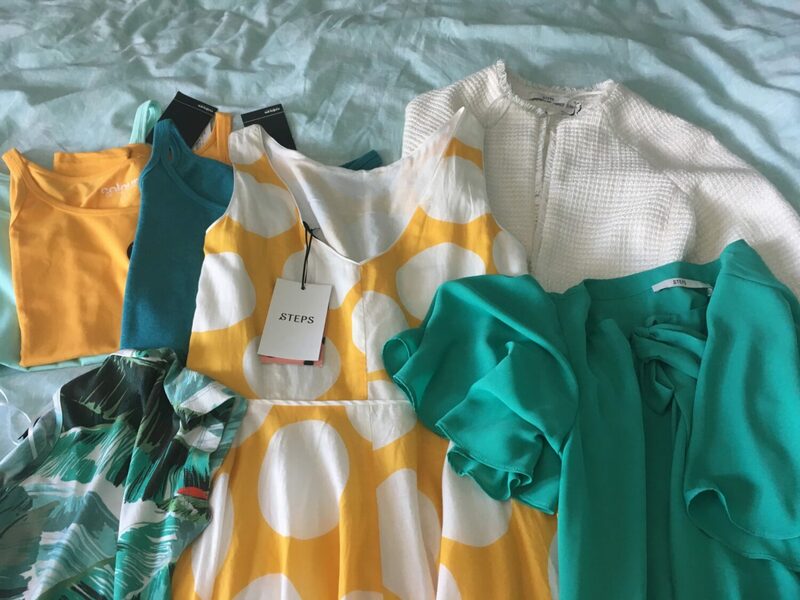 I’m a regular at Steps so I know they can seamlessly check for me online (last time in this way I ended up buying from the shop a perfectly fitting dress and letting them order online the same dress in 2 extra colours which got delivered home next day). I don’t even need to ask, the clerk is already busy checking. Unfortunately my size is sold out online. So she goes further and starts checking all the close-by shops inventory online! 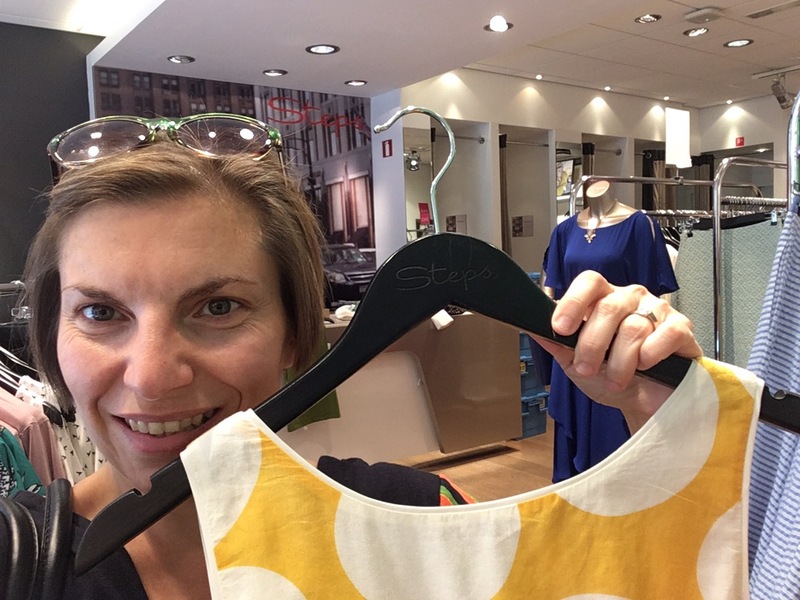 Seems like Amsterdam North still has my size. Would that work for me? Sure. She calls them and asks confirmation plus arranges that they put in on the side for me until I can go to pick up either same day or next day. Also this time Steps has WOWed me! Top dresses, top colours, great design and quality, good price and absolutely top service and seamless experience. Next stop, Multivlaai. I walk in. I explain in my best Dutch that my husband has called about the photo incorrectly printed and I came to get the re-print. With a very annoyed attitude the clerk explains that the fault we claim it’s not significant enough to justify reprint and that they usually do no reprint for such a situation. As I try to make my case and show the photo again, she goes ahead annoyed to say “no need, I have already re-printed it for you, but you should know that you just had ‘mazzle’ I did so” (basically that I was lucky that she was granting me such an exception). 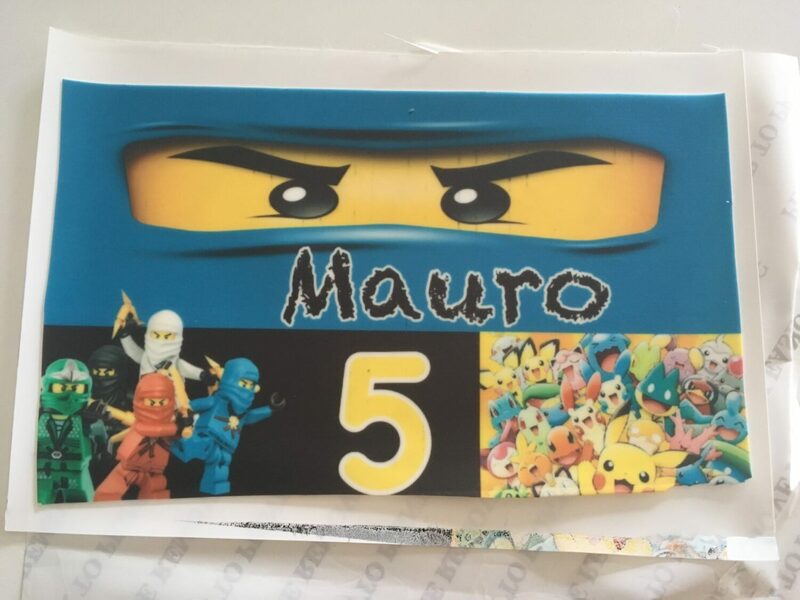 Then, of course, the CX service trainer in me had to have a word and kindly said that it was about 4 years that I printed at least 2 cakes a year (for each of the kids’ birthday) by them and never had any issue. This was the first time I did and her answer, rather than making me feel like a properly supported customer when things do go wrong, was now making me loose all my trust in the business and even leaving the shop with an ugly feeling while that was totally unnecessary, considering that she had even already done the re-print. Waste of words. Sadly nor her nor her colleague seemed to get what pleasing customers is all about and the scene went on with her taping the re-print in a very bad way so I had to end up un-taping it and packing it properly myself to be able to carry it safely home. 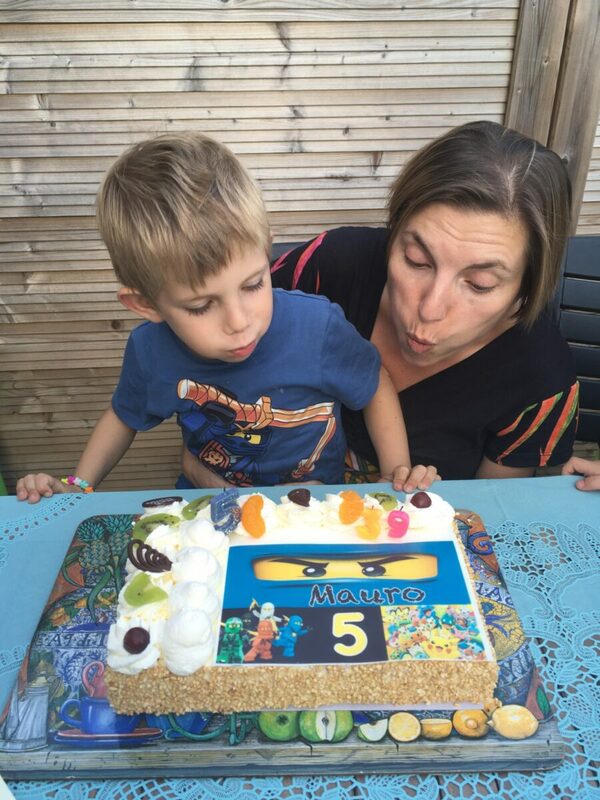 My experiencing self had such a bad experience on a rather emotional item (the birthday cake of my son) on a rather emotional day (our shared birthday day) that quite likely my remembering self will search for a new cake provider when the next birthday cake time comes. For this I have no name yet, but right now “Dumbness’ caused decline” it’s what comes to mind and our friends at Budd have already said “stop doing dumb things to your customers“. Making a fault can happen to anyone anytime, but doing what’s needed to fix and then make the customer feel bad about it, it’s a really dumb things to do. Every year I get quite many email birthday wishes and discounts from various companies… This year my week has been so busy on personal side (two birthdays, my oldest son swimming diploma – a big thing in the Netherlands – and last week of school) and on the work side, that I haven’t even had chance to check my personal email inboxes (surely not the one I use for purchases). I’m an highly digital person, yet with so much happening digitally (so many email addresses and so many social media accounts), print is surely the channel that reaches me most when it comes to these communication. What about you? As customer which medium do you prefer? And as company across which channels are you reaching your customers at different timings for different types of messages? Despite the madness of the week, my husband and I went for a birthday dinner. The moment of note here was when he turned to me the folder with the restaurant receipt saying “Ah this is for you”. I looked at him puzzled and then quickly realised that it wasn’t about the bill. In the folder with the restaurant receipt (on the left), there was also a tablet (on the right) with a simple survey to provide feedback on chef, service, price versus quality & free text for plus points & improvement points. Simple, clear and short, at the right moment, to the right customers, with the key questions, enjoyable to fill in as customer and, from my CX perspective, with the right balance of quantitative versus qualitative input! Definitely the best practice winner for this year birthday!